'... and i can talk too !!' by roz batten - DPC Prints! 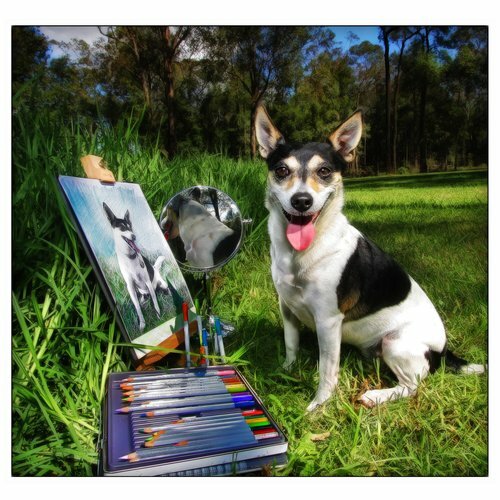 our miniature fox terrier katee creating another artwork !! This photograph originally appeared in the Crayons & Colored Pencils Challenge. ... and i can talk too ! !